In Natural Harmony and In Natural Affinity products are one of the best established natural aromatherapy brands in Malta and have been available here for the last 20 years. 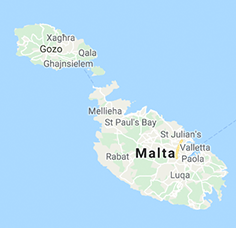 They can be found across the islands from many retail outlets, including Good Earth, Brown’s Pharmacy and Nutrition Empire in Zabbar. We are also wholesale suppliers to many salons, spas and professional practitioners. We supply over 80 pure essential oils and a wide range of carrier oils and base products. Under our In Natural Affinity range, we create blended products, such as shampoos, conditioners, moisturisers, cleansers and toners which are made to order in small batches, ensuring the very freshest product reaches the suppliers shelf. Our aromatherapist can also create special blends for individuals upon request.